Trackbits, Other Software from Audeezy. Australian start-up Audeezy developed an online solution that allows bands and professional studios to manage their music projects. Thanks to Trackbits, you can follow your music projects in details from any web browser, wether you’re working on demos, recording sessions, you can even track financial prospects. 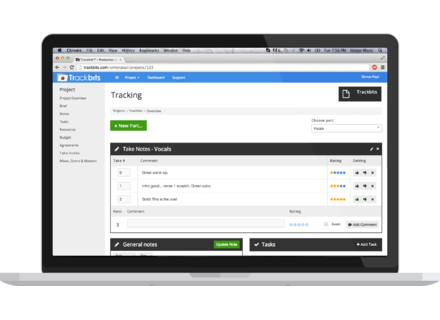 Trackbits features multiple tools, you can also add notes, contracts, video and audio files. All the Trackbits projects are stored to the Cloud, so you can manage them on any computer, smartphone or tablet and share them with collaborators with different user powers: read, comment, add data, etc. Paid versions don’t include ads and you get a one-month free trial. 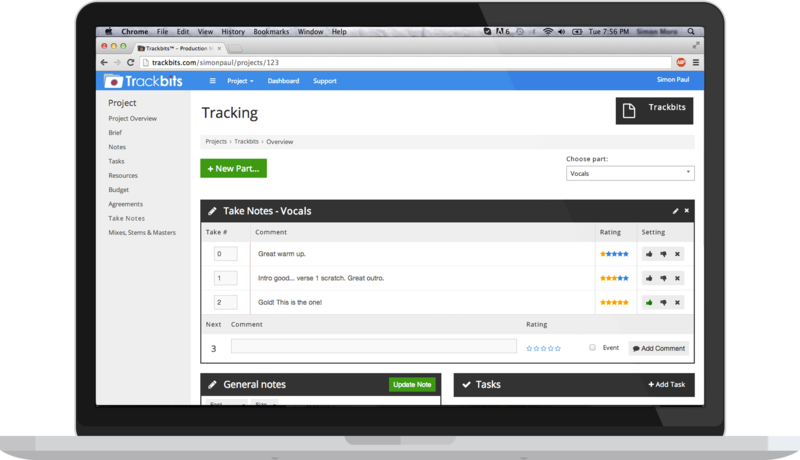 Trackbits is currently in beta 1 and will be expanded in the future. Discover Trackbits at www.trackbits.com. Grind Machine updated to v1.8 Audio Assault released v1.8 update for its Grind Machine guitar amp simulation plug-in for Mac OS X and Windows. Defective Records Cyclic v1.6 update Defective Records Software has updated its Cyclic step sequencer software to version 1.6 for Mac OS X and Windows.